It was a dream of Dr. Brian Ackerman to hang a shingle. Immediately after residency, he did what most physicians do – he opened an independent practice. For a while, things were great: patient satisfaction helped him persevere as he navigated years of technology innovation, reimbursement mechanisms, the Affordable Care Act, as well as new federal mandates for Electronic Medical Records and MACRA compliancy. However, the increasing complexity of running an independent practice was taking its toll. The pressures exerted by the system to deliver cost-effective care became impossible to sustain. Feeling defeated, Dr. Ackerman closed-up shop and became an employee at the local hospital. This is not an unfamiliar story. 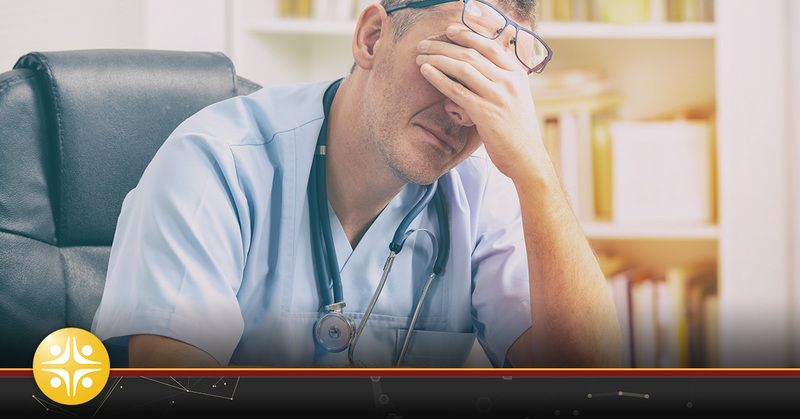 Physician practices are challenged at every turn. The struggle of financial viability for many independent practices is real. The trend continues as more and more U.S. Doctors are leaving their practices behind due to rising costs, technology mandates, as well as political and related influences. Many physicians have been compelled to consolidate with other practitioners or become hospital employees. So, is the full-time, independent practitioner accepting third-party payment a thing of the past? Not so fast. To some, the extraordinary level of change will imperil their financial sustainability. To others, it represents an opportunity for evolutionary success. Is your practice ready to evolve and succeed? The Medicare Access and CHIP Reauthorization ACT of 2015 (MACRA) mark the most significant and potentially challenging changes in clinician reimbursement. Under MACRA, participating providers will be paid based on the quality and effectiveness of the care they provide. A growing percentage of physician payment will be based on value – not on volume – like the current fee-for-service system. For the independent practitioner, this requires more reporting demands and less time seeing patients. MACRA was supposed to take effect January 1, 2017. The Centers for Medicare and Medicaid Services (CMS), however, has delayed full implementation until January 2018. CMS acknowledged that concern for small practices was one of the most prominent themes in the feedback it received on the proposed changes to the first year reporting requirements. It’s a brief reprieve, but you must have a game plan in 2017, ready to go in 2018. This plan should include using a 2014 or 2015 Edition Certified EHR, deciding which track you will choose for reporting to CMS, and ensuring consistent, timely and personalized care for each of your patients. Being proficient at documenting and reporting every treatment and running the payment system in test mode for a year before any payments or penalties begin is not an option – it’s a survival tactic. It behooves the healthcare industry to develop products and services that will streamline MACRA reporting, so make sure you talk to vendors to find out what’s on the horizon. The payer system is changing, and overhead costs continue to climb. The solo practitioner must adjust their game plan to produce a positive net income. Revolutionary payment models are helping physician practices remain profitable – and independent – in the current healthcare landscape. Patient-centered medical homes, physician-led accountable care organizations, and alternate payment models now offered encourage value-driven healthcare to help practices and physicians. Additionally, subleasing office space to other medical professionals and partnering up with an independent physician association (IPA) can significantly reduce overhead costs. An IPA is organized and owned by a network of independent physicians and can help the solo practitioner pursue business ventures such as contracts with accountable care organizations (ACO) and managed care organizations (MCOs). The burgeoning dominance of hospital employment and large group practices has left the average consumer wondering if the solo practitioner is the best choice for their healthcare needs. The evidence on whether quality is better in large or small practices is mixed. On one hand, larger practices are more likely to adopt quality improvement strategies that benefit from economies of scale, such as health information technology, multidisciplinary care teams, and after-hours access. Alternatively, many patients and physicians value the lasting personal relationships that smaller settings can cultivate. Since independent practice is no longer “business as usual”, physicians must establish a competitive and unique business model. Increasing pressures of running an independent practice require doctors to differentiate by specialty, size or in personalizing service options (such as in-home consultations, same day appointments and being accessible to patients via mobile devices). Use individualized creativity to set your service apart. It will keep the patients loyal and the practice in the black. In today’s rapidly changing health-care landscape, solo practitioners are becoming an endangered species. Nonetheless, despite the increasing pressures on small practices, no expert believes that they will go extinct. The successful ones are adapting in order to survive; have no doubt, those that thrive won’t look like the small practice of five or ten years ago. Independent practices must utilize innovative tactics in order to position themselves for long-lasting success in this new era of healthcare.